I'm always looking at colours and patterns for inspiration for my client's nails. 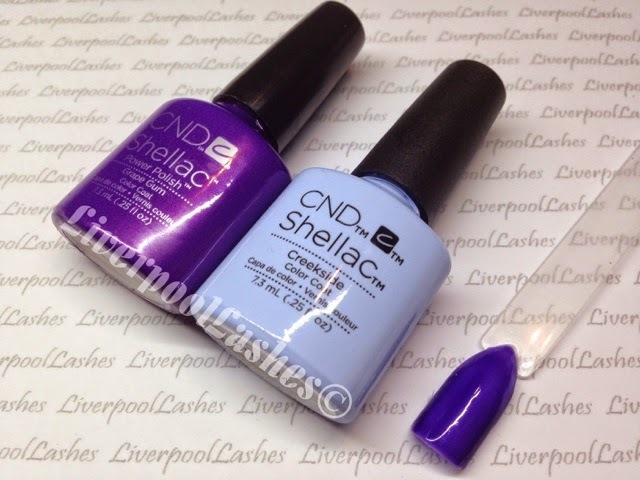 I'd seen a fantastic bright blue/purple shade and hoped that I could achieve the same colour in Shellac and u have! I absolutely adore the new Shellac shade, Creekside but when you apply a layer of Grape Gum it turns into the perfect mix of bright purple and blue. It's beautiful!